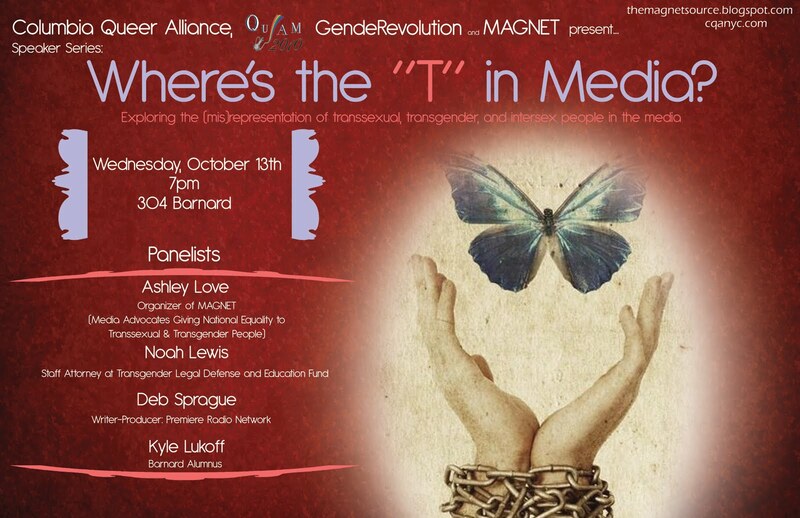 Why: In honor of Gender Rights Week, this discussion will focus on the depictions of transsexual, transgender and intersex images in the media. With an abundance of trans images in the last 5 years, are these images affirming trans people, or dehumanizing them? Noted trans leaders and college students offer the facts, and their opinions. (1) Take the 1 train to the 116th St stop. (2) Cross to the west side of Broadway Avenue, opposite the entrance to Columbia University's main campus.